Bhairav Kunda – means in Sanskrit a holy lake named after a destructive name of lord Shiva the “Bhairav”. The place “Bhairav Kunda” is located to the northeast of Kathmandu and next right to Panch Pokhari and closer to Nepal – Tibet border. Both Hindus and Buddhist devotees visit this high altitude (4200m) holy mountain lake to pay homage and bathe away sins during every (August) Full Moon. You will spend your first night experiencing the ‘Newari’ culture of Jalbire. 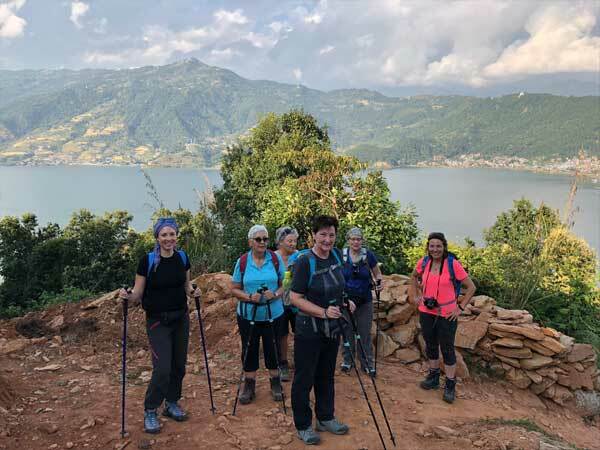 Your Guide will give a short talk on trekking, altitude sickness and the highlights of the trek. These include the holy Bhairav Kund, the incredible Himalayan scenery and the life style of nomadic people unchanged by time. Your trail winds along an old trade route between Nepal and Tibet. Through a number of unspoilt Buddhist villages, pass chortens and Sherpa houses. The unusual climatic and geographical mix makes this area a naturalist’s dream and a mecca for those who appreciate traditional cultures. 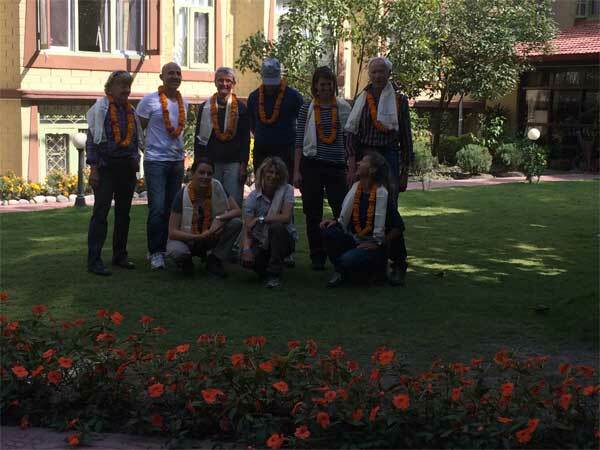 Arrival in Kathmandu Tribhuvan International Airport, a representative from Matterhorn Treks & Expedition will transfer to your hotel; we will brief about your trip activities. You’ll have rest of the day at leisure. Kathmandu – Jalbire is a scenic drive with mountain views. It takes about 3 hours to get in Balephi from Kathmandu. In case of bad road condition, one needs to walk for about 4 hours to reach Jalbire from Balephi. Jalbire is a nice Newari settlement (1,000 m.) near the banks of the Balephi River. The place is rich in Newari culture and home to the Hindu temple of Lord Bishnu. It is 4 hours straight walk from Jalbire to Chanaute. The route passes through a waterfall and some small Tamang villages. Chanaute is a small village, where people belonging to the Brahmin and Chhetri castes live. Camping arrangements are available in the school of Chanaute. One could enjoy the mountain view from the campsite. One can reach Khani Gaon from Chanaute within six hours of walk. Most part of the trail is steep and quite challenging. Khani Gaon is a Newari village. Khani means “source of Mines” and Gaon means “village”. In the middle of 18th century B.S., before Nepal was unified, there was feud between Gorkha and Bhaktapur. It is believed that people of Bhaktapur came to this place to save their life and later settled down there. One can have an excellent mountain view from the camping site as well. It is a steep uphill walk through rhododendron forests. During five hours of walk, one could encounter with wild animals and birds. This is a 4-hour steep uphill walk through pine and rhododendron forests. A rest house has been built for pilgrims at Pati. It is a one hour’s uphill walk followed by 2.5 hours walk to get to Kunda (lake). Bhairav Kunda is satiated at an altitude of 4,150 m. There is a small temple of Lord Shiva near the big holy lake. Once every year during June/ July, pilgrims from different parts of Nepal visit the lake and take a holy bath and pay homage to Lord Shiva. Early morning walk to Bhairav Kunda Top to have a sunrise and close mountain view of Langtang Lirung, Jugal Himal, Rollwaling Range and Tibetan Range. You will reach a typical Sherpa village within 6 hours of steep descent. It takes three and a half hours for one to reach the bank of the Bhote Khoshi River, which is also called Larcha. It is about six hours scenery drive back to Kathmandu. (If you would like enjoy more, you can take part in bungy jumping at the Last Resort or enjoy rafting at the Bhote Koshi River), after reaching you will be transferred to your hotel.